Once Upon A Second Chance, is a modern yet whimsical take on Austen’s classic love story, Persuasion. Marian Vere is a twenty eight year old writer of Women's Fiction. 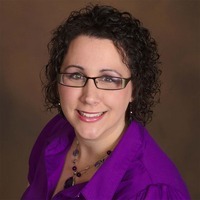 Born and raised in Pittsburgh, Pennsylvania, she received her degree from Edinboro University of Pennsylvania in--oddly enough--vocal music performance, only to later discover her love of writing and storytelling. Marian is represented by Carly Watters of PS Literary, and currently lives in the suburbs of Chicago with her Husband, and two daughters. As much as I love Pride and Prejudice, Jane Austen's Persuasion is my favorite story. Anne Eliot and Captain Wentworth's tale simply tugs at my heart strings. When I read the summary for Once Upon A Second Chance, a contemporary romance by Marian Vere, I knew I had to read it. Marian Vere's debut adult romance is clean, sweet, and enchanting. Julia is a humorous heroine, at times sad over her decision to not marry the love of her life, Nick. Eight years pass before they meet again when he becomes her firm's client. While on a business trip to Maine, Julia feels the similar pangs of affection for the good looking, now successful, Nick, except she believes he's interested in someone else. That someone is her co-worker, Bree. There are some similarities to Persuasion, but Anne's father and family friend are missing, as are other characters from Austen's novel. What Vere has added is that magical element--the fairy godmother. I liked Julia's rationale on fairy tales as she explained in one one passage. Throughout everything, from seeing Nick flirt with another woman, to deciding to take charge of her life and go after what she wants, Julia keeps her sense of humor and that's part of her charm. Speaking of charm, Nick was a pure heart throb. Unlike in Persuasion, Vere gives us Julia and Nick's HEA so we don't have to wonder what happened after their reunion scene. Here we are treated to page after page of this couple reveling in their finding each other again. Once Upon A Second Chance is a fast read, I read my copy in a couple of hours, and I enjoyed the pure romanticism of this story. There are lots of characters to like but Julia and Nick are the stars of this tale and I let myself get swept up in their love story. Fairy tales have winged grandmothers waving wands; romance readers have authors like Marian Vere sprinkling magic with their words, helping us believe in love, soul mates and happy endings. Favorite excerpt: (From Nick's Best Man speech) "Real love is rare. It's something that, quite honestly, I believe very few people ever truly experience. However, when love--real love--finds you, I believe you'll recognize it instantly. Chris and Bree have gotten something of a hard time about the fact that they got engaged within a month of being introduced. That may seem strange to some of us, but that's the thing about real love: when you know, you know. When you meet that one special person, somewhere deep inside, your soul recognizes its other half. Somehow you know that you have found the person who will make you happy for the rest of your life, the person who makes you the man or woman you were meant to be. It's not easy to come by, and it's easy to be fooled. However, I've always believed that the real thing is worth waiting for." Fooled. He thinks he was fooled. I am still sitting perfectly still, staring at the empty space beside Nick. The only difference is that now I can't even blink, because if I do, the tears swimming in my eyes will spill over, and I can't allow that. "Now, as for me," he continues after a pause, "I'm still waiting. But as someone who is still waiting, I can tell you that Chris and Bree remind me of what exactly it is that I am waiting for. And I think I can speak for everyone here tonight when I say that seeing the two of you --" he turns to face Chris and Bree "--and the love that you so obviously share, gives us all a little more faith in love and a little more hope in that age-old idea of happily ever after. Congratulations, and all the best to you." He raises his glass; we follow his lead, drink, and applaud. Nick takes his seat, and as soon as discreetly possible, I steal quietly out of the room and lock myself in a bathroom stall." Cover comment: Very cute, though at first glance, one might mistake this cover for a YA. Book source: Received a complimentary e-ARC in return for my honest review during a book tour. The author is giving away (5) swag bags that include a magic wand charm necklace, a magic wand book mark, and custom lip gloss with the book art. Open to US only. The publisher is giving away (5) ebook copies of ONCE UPON A SECOND CHANCE. Open International.